British tennis player known primarily for his play in doubles, where he was a junior Wimbledon champion in 2010 and junior Australian Open champion in 2012. He turned pro in 2014. He started his junior career in 2005 at the age of 11 and would eventually peak at number two in the junior combined world rankings. 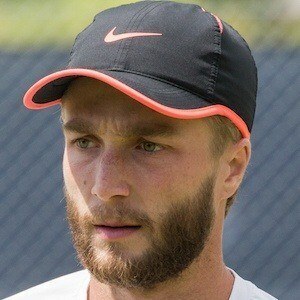 He qualified for the 2015 Wimbledon singles as a wild card and proceeded to beat Marinko Matesovic for his first career win at the tournament. He has three siblings, including an older sister named Namoi, with whom he's competed in mixed doubles. He faced off against Andy Murray in the first round of Wimbledon 2016, but was defeated in straight sets.